or an electron and an electron antineutrino. tells you what element or isotope the decay results in. with two fewer protons and two fewer neutrons. with one additional proton and one fewer neutron. Other forms of radioactive decay. emits a positron and an electron neutrino. since it had happened in the stars. Soddy and Fajans had begun to stabilize the idea that elements could be unstable. 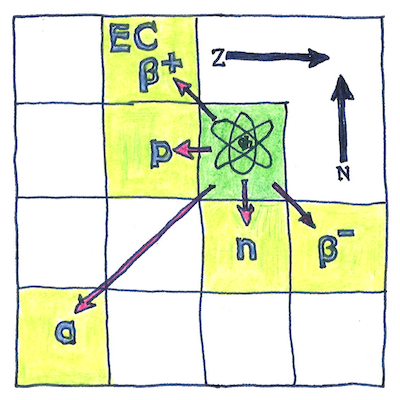 When atoms lose subatomic particles, they do so according to certain rules.